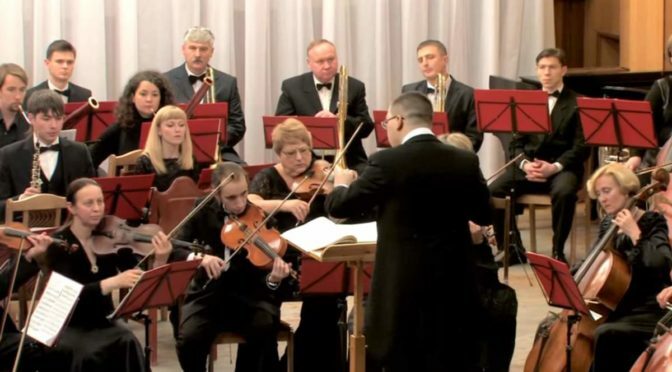 Conducted by Pavel Lyubomudrov, the Metamorphose String Orchestra (based in Minsk, Belarus) performs Pyotr Ilyich Tchaikovsky’s Serenade for Strings in C major, Op. 48. An HD video published by the Halidon Music channel. Conducted by Yannick Nezet-Seguin, the Rotterdams Philharmonisch Orkest (The Rotterdam Philharmonic Orchestra) performs Pyotr Ilyich Tchaikovsky’s famous two-act ballet “The Nutcracker”. Guest performers: Jongenskoor (Boy’s choir) Rijnmond, Jongenskoor Rivierenland en Jongenskoor Waterland conducted by Arie Hoek. Recorded on December 23, 2010, in De Doelen te Rotterdam. Published by AVROTROS Klassiek channel. Accompanied by the hr-Sinfonieorchester (Frankfurt Radio Symphony Orchestra), the German-Japanese classical pianist Alice Sara Ott performs Pyotr Ilyich Tchaikovsky’s Piano Concerto No. 1 in B-flat minor, Op. 23. Conductor: Andrés Orozco-Estrada. Conducted by Dmitry Polyakov, the Murmansk Philharmonic Orchestra performs Pyotr Ilyich Tchaikovsky’s Symphony No. 1 in G minor, “Winter Daydreams”, Op. 13. Conducted by Leonard Slatkin, the Detroit Symphony Orchestra performs Pyotr Ilyich Tchaikovsky’s Symphony No. 2 in C minor, Op. 17, nicknamed the “Little Russian”. This performance is published by the Detroit Symphony Orchestra and originally aired March 1, 2015 on dso.org/live.